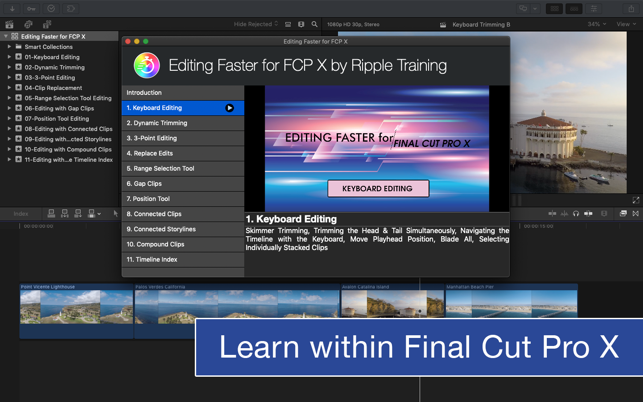 Editing Faster for Final Cut Pro X is a video tutorial series that was created to help you improve your skills and maximize your efficiency when editing in Apple’s Final Cut Pro X editing software. 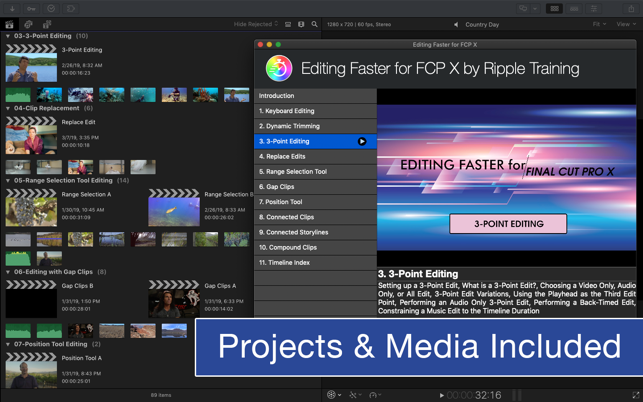 This tutorial assumes basic familiarity with Apple’s Final Cut Pro X editing software and is presented in 11 highly-focused learning modules that can be followed along with using our provided media. 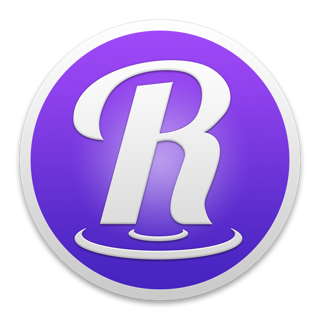 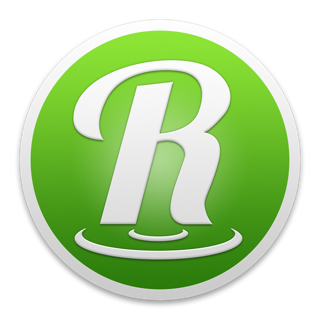 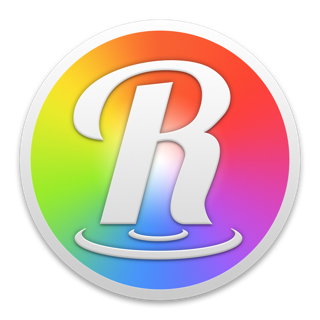 Updated Screenshots, App Preview, and Intro lesson to reflect change to logo in the app. 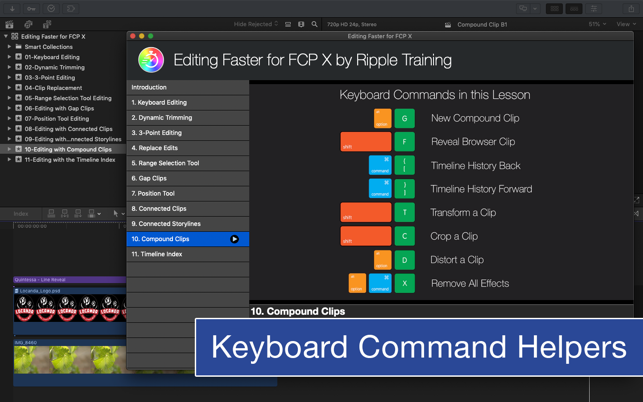 © 2019 Ripple Training, Inc.